An end to secrecy on animal experiments in the UK would clearly provide the best opportunity to properly consider whether alternatives to animal use have been considered, or, through wider scientific scrutiny, whether the proposed research is duplication or lacks scientific justification. 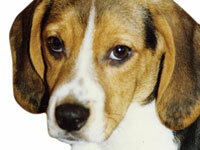 Donate to NAVS and help us continue to protect and campaign on behalf of animals. But progress remains slow. The Home Office public consultation on addressing secrecy on animal experiments has been delayed yet again and is now expected “in the Spring” this year. Under the transparency requirements of the EU Directive, the UK Government must overhaul Section 24 – the secrecy clause of the Animals (Scientific Procedures) Act. The Home Office claim that full openness in animal experiments will be one of the options still under consideration, but other choices will see information continue to be restricted. The NAVS participated in a series of workshops at the Design Council, to assess the level of transparency desired by concerned parties. But the working groups were structured so that those seeking full openness were heavily outnumbered by pro-vivisection groups, animal researchers, and officials. At Home Office meetings we pressed the case for full transparency and countered the unfounded assertions of an industry desperate to avoid public scrutiny. Transparency of government administration requires that the licence applications proposing animal use receive wider scientific and public scrutiny, before licences are granted. This would allow evaluation of the necessity for animal use; whether research is duplicated; where alternatives exist; search other sources of the information required or whether the application to humans would be irrelevant or even harmful. The NAVS hosted a Week of Action Against Secret Suffering in UK Labs urging supporters to ask MPs to support Early Day Motion, EDM 630, in support of repeal of Section 24 – 40 MPs have signed up so far. 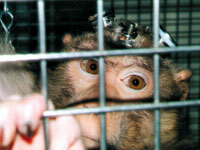 Supporters were also asked to participate in an online consultation on ‘openness’ hosted by pro-vivisection lobby group Understanding Animal Research – a PR exercise to persuade the public that research establishments are prepared to be more transparent (provided they are not bound by legislation and thus themselves choose what to release, or not). The failure of government oversight of animal experiments was noted by a report about London’s Imperial College, which found multiple failings and described the institution’s Animal Welfare and Ethical Review Body as “not fit for purpose”. Support for the campaign has been gathering momentum, with academics, likeminded organisations, businesses and celebrities all backing our call to repeal Section 24. Groups as diverse as the Campaign for Freedom of Information and the Kennel Club and individuals such as human rights campaigner Peter Tatchell and comedian Eddie Izzard, have signed up. We need to show MPs that people want transparency and public accountability – an end to secrecy. Contact your MP TODAY and ask them to sign EDM 630.